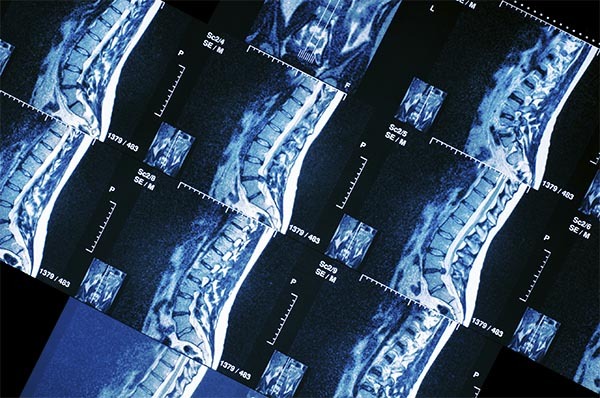 There are many surgical procedures performed on those who have suffered a spinal cord injury. We have touched on a few below for your convenience. It is a good idea to obtain as much literature as possible on the specific surgery recommended. This includes information from your doctor’s office, as well as outside sources. We recommend doing research on the internet or go to your local library. Not only will you be well-informed, but you will also be prepared for the spinal cord surgery, should you choose to go forward with it. If you or a loved one has suffered a spinal injury, call us now at (800) 888-8888 or contact us by clicking on a Spinal Cord Injury Attorney. An anterior cervical discectomy is a procedure intended to remove herniated material from the nerves in the neck and relieve your symptoms. An anterior cervical discectomy is done through a small incision in the front of the neck. There is minimal damage to the neck tissues and the disk and/or bone spurs are removed. This technique allows for a quicker recovery period. An artificial disc is a device implanted into the spine to replace a degenerative disc. Artificial discs are usually made of metal and plastic-like materials, or a combination of both. The disc replacement surgery involves the surgeon making a small incision near your belly button. Your organs will be carefully moved to one side to make it easier to see the front of the spine. The disc is then removed and the replacement inserted. X-rays may be taken throughout the process to ensure proper location and fit of the new disc. The most common thoracic injury is a compression fracture. Although the most common treatment for a compression fracture is pain medication and rest, on occasion, surgery may be necessary. A typical surgery for a compression fracture would be fusion surgery. A doctor may determine a fusion is necessary if there is serious evidence that the spine is unstable. Anterior approach – The operation will be performed from the front of the spine. An incision is made in the chest to allow the surgeon to see the front of the spine and locate the vertebra that has been crushed. Once the vertebra has been located, the bone fragments may be removed and a spinal fusion will then be performed. Posterior approach – The operation is performed through an incision in the back. This type of procedure can allow the surgeon to use metal screws and rods to hold the vertebrae in the correct alignment, while the fractured vertebrae heal. This approach is more useful when there is not extensive pressure on the spinal cord and also when the surgeon is trying to prevent the fractured vertebrae from collapsing more. A microdiscectomy is basically the same procedure as a discectomy, however, it requires a much smaller incision. The advantage of this procedure is that there is less damage to the spine during the operation. You may also recover faster. The surgeon uses an operating microscope to perform the operation. A small incision is made in the back just above the area where the disc is herniated. Once the muscles are moved aside and the vertebra can be seen, the microscope is used to finish the operation. The rest of the operation is the same as with a discectomy. As with an anterior fusion, a bone graft is usually taken from the pelvis at the time of surgery, but some surgeons prefer to use bone graft taken from organ donors. In the posterior fusion, the bone graft is placed on the backside of the vertebrae. As the healing processes, the vertebrae grow together. This creates one solid piece of bone. Fusion surgeries are normally required when there is a cervical fracture or dislocation, or to correct deformities in the neck. Anterior cervical spinal fusion surgeries are usually done along with an anterior cervical discectomy. A spinal fusion involves placing a small piece of bone in between two vertebrae. The bone is obtained either by taking a piece of the patient’s pelvic bone (bone graft) or in some cases the bone is taken from organ donors. After a fusion is performed the patient may need to be in a cervical collar or brace for several weeks to allow complete recovery. The traditional way of treating the herniated disc with surgery is to perform a discectomy. This procedure is performed through an incision down the center of the back over the area of the herniated disc. Once the incision is made through the skin, the muscles are moved to the side so that the surgeon can see the back of the vertebrae. A small opening is made between the two vertebrae where the disc is ruptured. This allows the surgeon to see into the spinal canal. Once this is done, the surgeon will move the nerve roots out of the way to see the disc and remove the disc material that has ruptured. This removes any pressure and irritation on the nerves of the spine. The goal of lumbar fusion surgery is to relieve the pain you have been suffering due to degenerative disc disease or disc herniations. The fusion is designed to eliminate motion in the fused area, which in turn should decrease or eliminate the back pain created by the motion. The spine is not actually fused at the time of the surgery. Instead, the surgery puts the pieces in place, allowing the spine to fuse together. The fusion is a process that will set up over a 3 to 6 month (and up to 18 months) period of time following the spinal fusion surgery. A lumbar fusion can be done in the front or the back of the spine. If the fusion is performed in the front of your spine, the surgeon will remove the disc and place a bone graft (piece of pelvic bone) between the vertebrae where it will eventually fuse to the surrounding vertebrae to stop abnormal motion. If the fusion is performed in the back of your spine, a bone graft will be placed on the sides of the vertebrae where it will grow together to the vertebrae to stop abnormal motion. Posterior cervical discectomy is an operation performed to relieve pressure on one or more nerve roots. Pain is often felt in the neck, arms, and even legs. This procedure is done through a small incision in the back of the neck. An epidural steroid injection is an injection that gives relief from low back pain and from certain types of neck pain. Once injected into the affected area, the medication moves freely up and down the spine to coat the nerve roots and the outside lining of the facet joints of the spine near the area of injection.